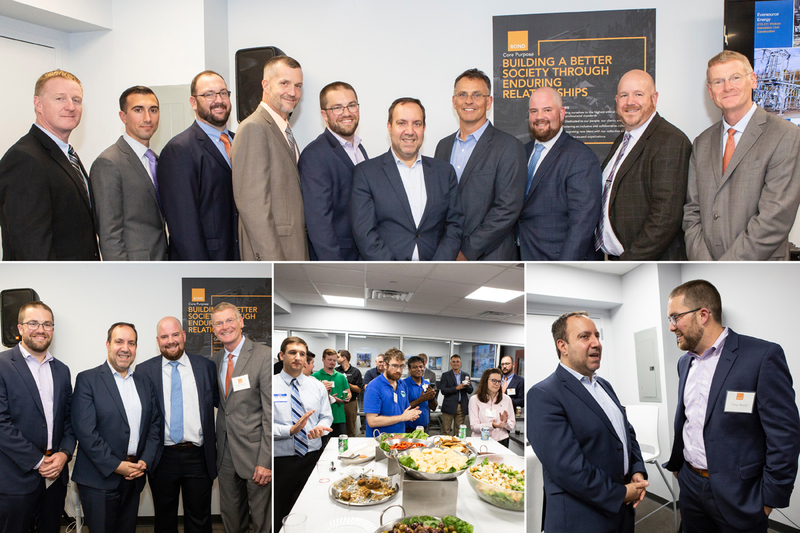 (Bronx, NY) –BOND, the Northeast’s premier building, civil, utility and energy construction firm, recently celebrated the grand opening of its New York City office, located at 34 Marconi Street in the Bronx. Special guest speaker Carlo A. Scissura, President & CEO of the New York Building Congress welcomed BOND to the city along with clients, business partners, colleagues and employees. Leading the office is Dan Foppiano, BOND’s Regional Manager of NYC. He will work closely with Tony Bond, President of Civil & Utility to foster new clients in the oil & gas, electric transmission & distribution, power generation and civil infrastructure markets. Some of BOND’s NYC clients include ConEdison, National Grid, Port Authority of New York/New Jersey and Bloom Energy. Recent projects include ConEdison’s Bronx 16” Inlet Gas Pipeline, the Port Authority NY/NJ Gate Valve, National Grid’s Chelsea Gate as well as others. For more information on BOND’s New York service offerings, please contact Dan Foppiano, Regional Manager, NYC, BOND at dfoppiano@bondbrothers.com or 857-301-3278.